C. Annius T.f. T.n. 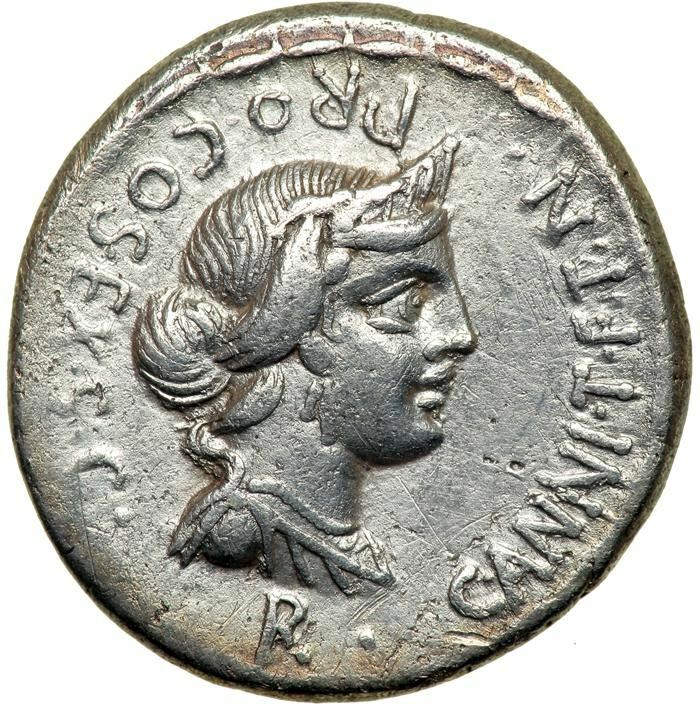 Luscus was proconsul in Spain in 82 BC, and struck coins in this respect. He struck jointly with L. Fabius Hispaniensis and C. Tarquitius, who are presumed to be his quaestors. Gens Annia was a plebeian family of considerable antiquity at Rome. The first person of this name whom Livy mentions is the Latin praetor Lucius Annius of Setia, a Roman colony in 340 BC. By the time of the Second Punic War, the Annii were obtaining minor magistracies at Rome, and in 153 BC, Titus Annius Luscus attained the consulship. The gens remained prominent at Rome through the first century. The emperor Marcus Aurelius was descended from a family of this name. The cognomen Luscus is derived from a word variously translated as "one-eyed", "bleary-eyed", or "partly blind". It must have been applied to an ancestor of the oldest family of the gens.